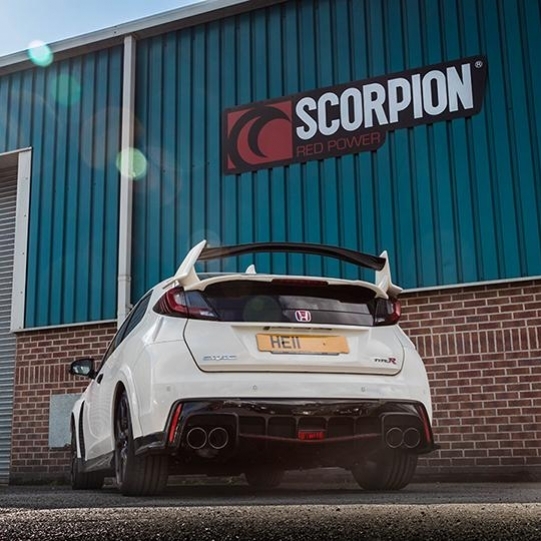 Developed on the back of our involvement with BTCC championship winning technical partners Honda Yuasa racing Scorpion release a high flowing turbo down pipe and cat-back exhaust system for the Honda Civic Type R FK2. Although Honda's new super-hatch is a real monster from the factory with It's 2.0 Turbo charged Vtec engine pushing the car to 60 in 5.5 seconds and putting 291bhp through the front wheels our technicians still saw scope for further improvement. 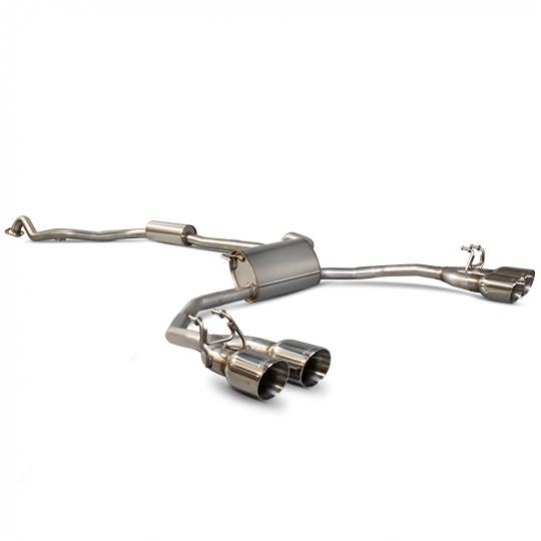 Scorpion's R&D technicians developed a high flowing T304 63.5mm Stainless Steel cat-back exhaust system which has much greater flow rates in comparison with the o.e exhaust. The cat-back system is available in resonated form to ensure drone free driving throughout the high rev range and has the option of black ceramic coated or mirror polished 100mm Daytona tailpipes. 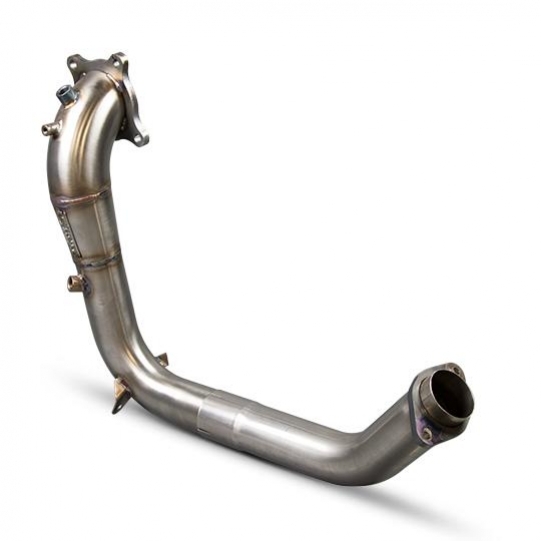 For even greater power enhancement the R&D team also developed a high flowing 70mm turbo down pipe which is fully interchangeable with the Scorpion and o.e system. 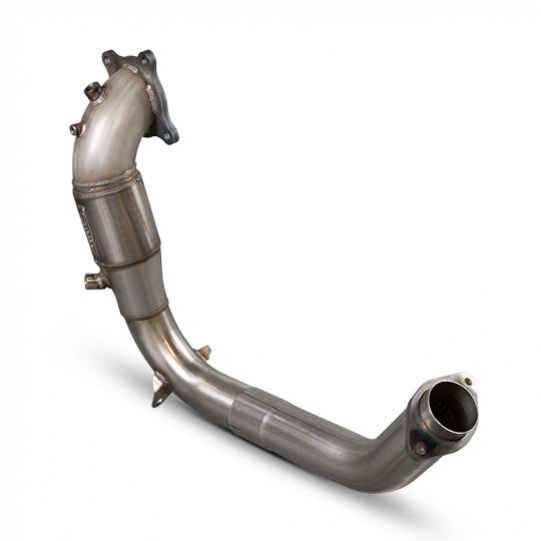 Both 200 cell sports catalyst and an extremely high flowing de-cat version of the down pipe are available. Our YouTube video is available here, please share on Facebook etc.